Transportation management has a huge impact on the overall profitability and competitive edge among the shipping industry. However, it can also create a whirlwind if managed alone. Utilizing a 3PL offers extended support and continual growth. 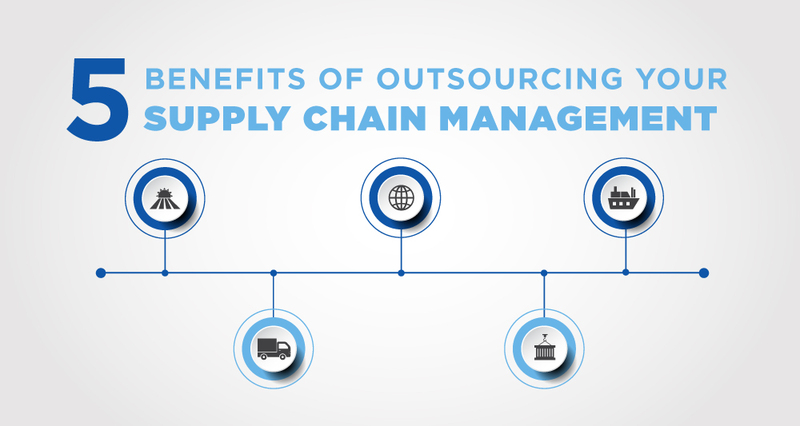 Consider these five benefits of outsourcing your supply chain to avoid added stress. Outsourcing transportation allows you to improve transportation strategies as a big picture without having to struggle to get the information yourself. When utilizing a 3PL, you are given the ability to make future decisions that impact efficiency and equate to even more bottom line savings. Other than offering strictly supply chain assistance, 3PLs support various levels of transportation management. This provides additional support from subject matter experts on load planning, freight bill audit and pay, claims, contract management, and much more. Transportation management also means coordinating several, if not hundreds of relationships with vendors, customers, suppliers and carriers. Working with a 3PL also provides a dedicated contact to manage the relationships that keep your supply chain going. This will not only free up your team’s time, but will also allow you to focus on other aspects of the business. A common complaint in the industry is not having access to reliable, consistent data. 3PLs employ technology such as transportation management systems and business intelligence tools to better serve customers. Pairing your business with a 3PL could offer full visibility to your transportation portfolio and allow you to better analyze the big picture. Holding your supply chain accountable is key. Using best practices and effective technology, 3PLs are trained to identify concerns in your transportation footprint and proactively repair and enhance processes. Engaging this support yields your company professional results that can keep you on track to achieving your goals. The England Logistics’ Supply Chain Management (SCM) division is dedicated to assisting shippers with all aspects of their logistical needs. SCM utilizes tools that offer enhanced visibility, efficiency, and profitability. Our team is dedicated to providing the best service and creating a customized strategy for your company’s needs. Reducing costs while increasing profitability is our goal, and we’ll work hard to see your business grow.